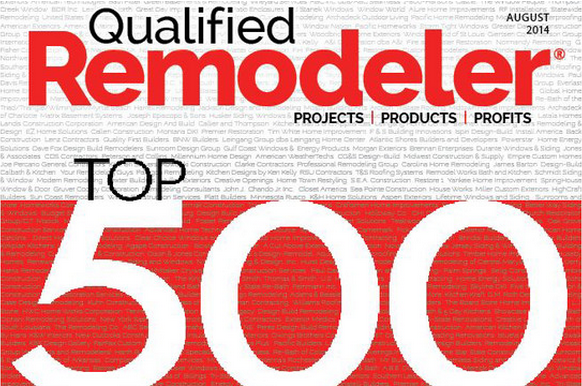 Four DreamMaker remodeling franchise locations have been named to Qualified Remodeler’s Top 500 list of the highest revenue-producing remodeling firms in the United States. The magazine puts the annual list together to highlight remodelers whose best practices have allowed them to thrive. This year’s list includes DreamMaker Bath & Kitchen of Ann Arbor, DreamMaker Bath & Kitchen of Ogden, DreamMaker Bath & Kitchen of Amarillo and Lubbock and DreamMaker Bath & Kitchen of Bakersfield. Click the links to read Q&As with the honorees. Qualified Remodeler’s mission is to highlight strong remodelers and spread best practices throughout the industry. The fact that four DreamMaker remodeling franchises made the list reflects the strengths of DreamMaker’s systems, the quality of its franchisees and the growing demand for its services. According to the U.S. Census Bureau, remodeling spending increased 3.1% in 2013. 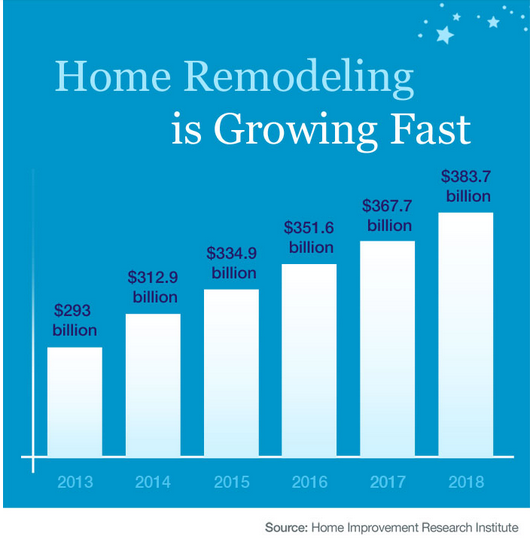 The best remodeling companies grew much faster. According to Qualified Remodeler, the 2013 gross revenue reported by Top 500 remodelers was about 18% higher than in 2012. DreamMaker franchisees did even better. Their average franchisee revenue grew nearly 23% in 2013. DreamMaker’s systems have helped new remodelers become extremely successful. The four franchisees who made Qualified Remodeler’s Top 500 list come from a variety of backgrounds: Steve Coombs, who partnered with Brad Stevens to start the Ogden location, is an architect; Steve Betts, who owns the locations in Lubbock and Amarillo, was a banker; Lee Willwerth and Bob Ender, who started the Ann Arbor location, were software engineers and automotive industry veterans; Everett Gray, in Bakersfield, was a skilled carpenter, while his wife, Patty, who is instrumental to the business, had been a stay-at-home mom. To read about them, and learn what drives DreamMaker’s success, visit the links above and check out our research pages for an in-depth look at what makes DreamMaker Bath & Kitchen unique. To learn even more, fill out a form to download our free franchise report and start a conversation. We look forward to meeting you!